This book was a lot of fun to read. Naomi suggested it to me and I just couldn't put it down. 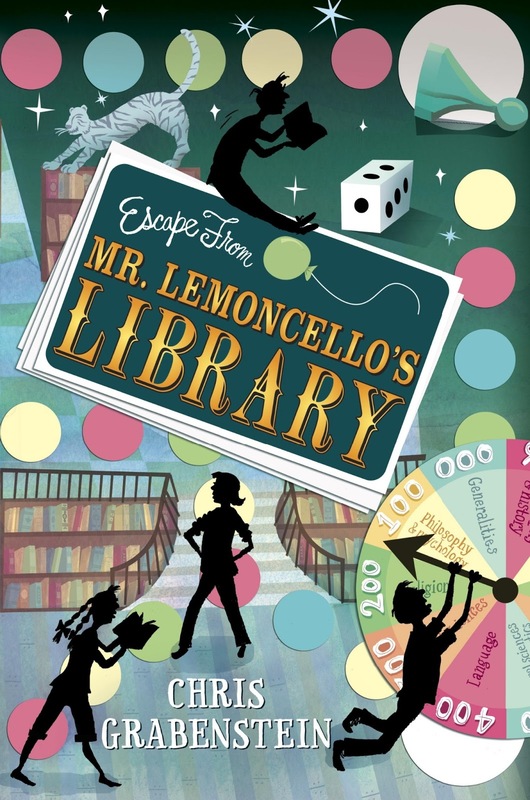 Mr. Lemoncello is a world-famous game designer and has poured millions of dollars into creating a brand new public library in his hometown. He creates an essay contest for the 12 year olds in his town and the winners are invited to a grand tour of the library before it is open to the public. Kyle and other winners enjoy their tour of the library and when the evening is over, they are informed that they are allowed to leave. But if they stay... there will be a new sort of contest. The winner will be in every commercial for a Lemoncello game! The contest involves solving several library themed trivia and puzzles. I think I enjoyed this book not just because it took place in a library, but because it really reminded me of Willy Wonka and the Chocolate Factory. Mr. Lemoncello was a very eccentric man with a flair for the dramatic.